This post will hopefully be short and will take us up to the day of surgery. September started off great. I was cleared for surgery at my pre-op exam. That was a good thing. Just a few more things to do before surgery. First thing was that I needed to keep working out no matter how bad I felt. I was getting close to my goal. Not telling you yet how much I lost. I learned what a great support system I have. I told my OT the doubts that I was having about surgery and she without me knowing talked to Joe my PT. While one day while I was waiting for OT Joe was there and we talked. It was a good talk. He reassured me that I needed this and that it would help me greatly. Hearing from Joe someone that I trusted that I was doing the right thing was very helpful. My support system was amazing. I got this text from my sister on September 8. “One week from today, my very special baby sister will be waking up for the first time with a new hip and a whole new world of opportunities!!! I am so proud of you! I love so much. Can’t wait to go sky diving with you! !” Oh my God do I love her or what. Thanks Andrea. My family was great through this whole thing. I knew that I could talk to any of my 10 siblings. Yes I am the youngest of 11. My family loved me unconditionally through all this. There were many texts and calls of support. I love every single one of you. The two weeks that I had in September turned into days. Things were getting close. Was still working out and working my part time job. The week of surgery was finally here. One last Sunday at work. Lots of hugs and well wishes. I had a great family gathering that day. We had the best family dinner. Monday was here headed to the gym only one more time after this. I ran into Joe. He was so proud of the hard work I had done and all the weight I lost. Still not telling. One more hug and one more day closer. It felt good to know so many people cared about what I was doing. Tuesday was Sept 11. It was a day to remember what happened that day 11 years ago. I live in upstate NY. So there is a little bound. We had a great dinner with friends that night. Few more hugs and one more day closer. Wednesday was here, last work out before surgery. Today was a day filled with fun. I got a hair cut with my Mom. My Mom, Dad and I went to a movie and dinner. Dinner was great our waiter was a friend of mine so it made the night just that much better. Tonight was the first night I had to take a disinfecting shower. Just had to wash with a special soap and put on clean pj’s and clean sheets on the bed. Thursday was here only one day until my surgery. Today we closed the pool. One last swim before surgery. Oh yeah it was the last weigh in before surgery too. Are you ready. I weighed 215 pounds. Only 15 pounds short of my goal.In nine months I had lost a total of 45 pounds. I was so proud of my self. Great day already. One more disinfecting shower. Same thing as the night before. I was off to bed early because I had to be up at 3am the next day. Well we have made it to the big day. That however gets a post of its own. Keep reading. Where did we leave off. Oh yeah January is here. I am now 28 and off to see Dr. Clarke. Just a side note Dr. Clarke is an hour and a half away from my home. So we were headed on a trip. 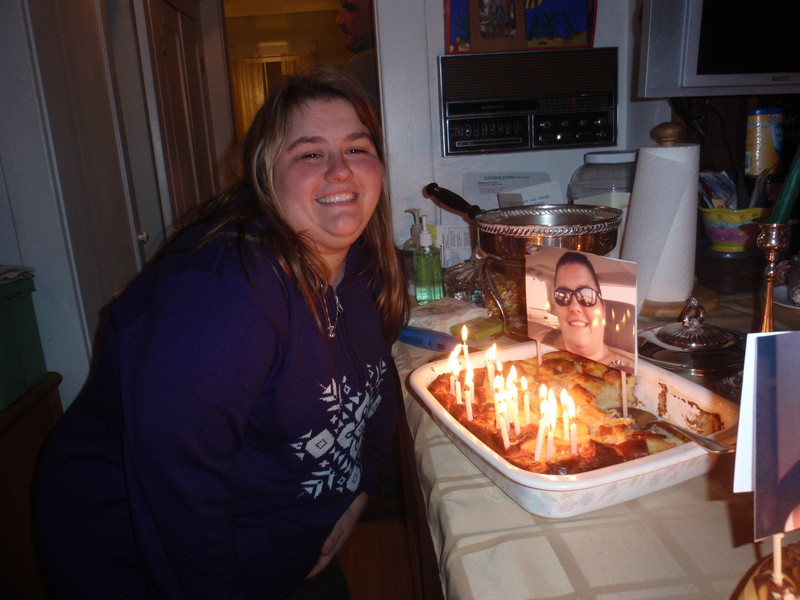 This is me on my birthday.Probably me at my heaviest. January 26 was my appointment with Dr. Clarke. If you have been counting that is a total of 5 doctors in 4 months. Let’s just say that I was not very excited to see him. They did not take any new x-rays they used the ones from October. Dr. Clarke introduced himself to my Mom and I. Later I would find out that my Mom knew he was the right doctor from that introduction “Clarke here”. He agreed with the other doctors yes I did need the hip replacement. However he did not want to replace it just yet. He wanted that to be the last option. This was do to my age. There are only some many times that the hip can be replaced. Yes in a 28 year old it will need to be replaced up to three times. That was scary at first but no longer concerns me. We talked for awhile and it was decided to hold off on the hip replacement. We discussed how I should give physical therapy (pt) a shot. He also told me how important it is that I lose weight. The more weight that you carry around the middle the more pressure on your hips. He explained that he would be willing to do the hip replacement when I could not handle the pain anymore. Or to put it as Dr. Clarke did, “When you want to go out and buy a gun and shoot someone let me know.” Deal! Dr. Clarke’s hope was that I could make it 5 years before it needed to be replaced. We left there with nothing new just deal with the pain for now. While we did leave there with a doctor that I trusted, liked and would replace my hip when the time was right. Finally, it only took 5 doctors and 4 months to find one. Fifth and final. Leaving Dr. Clarke’s office was hard. I thought that I was at the the point where the pain was bad enough. Well let’s just say that it was a longer ride home that day. Got home feeling down. I would like to explain a few things. Four months is a short amount of time to take so much news in. I was on an emotional roller coaster, since October. I hated what was happening to me. I hated that I was in pain. I was scared because my only choice was major surgery. It just sucked. The pain just kept getting worse over the past 4 months and I was sick of it all. I would cry myself to sleep often. I have learned that crying for me is a great stress reliever. Don’t know why but it helps. I would like to note that in my whole life I have never felt like this. I am a very positive and strong human being. Growing up with a disability has made me this way. I hated feeling like this. I loved life and everything I could do. After saying all this I made a deal with myself after seeing Dr. Clarke. I was done feeling sorry for myself. I was going to be Blaire no matter what it would take. I also decided to try to lose some weight, couldn’t hurt right? I also was going to give pt a really shot. Since we are on that topic lets talk about pt. My second PT visit was January 27. My PT Joe was very understanding and loved having a younger person to work with. I worked with Joe from January 2012 to March 2012. I think that this was the best thing that I could have done. We were meeting twice a week and working on many things. We started with simple stretching to get the joint moving and moved on to strength building. With Joe’s help I was able to start working out three times a week. I was riding a bike, swimming and using the weights and enjoying every minute of it. Probably the most active I had been in ten years. Little side note. 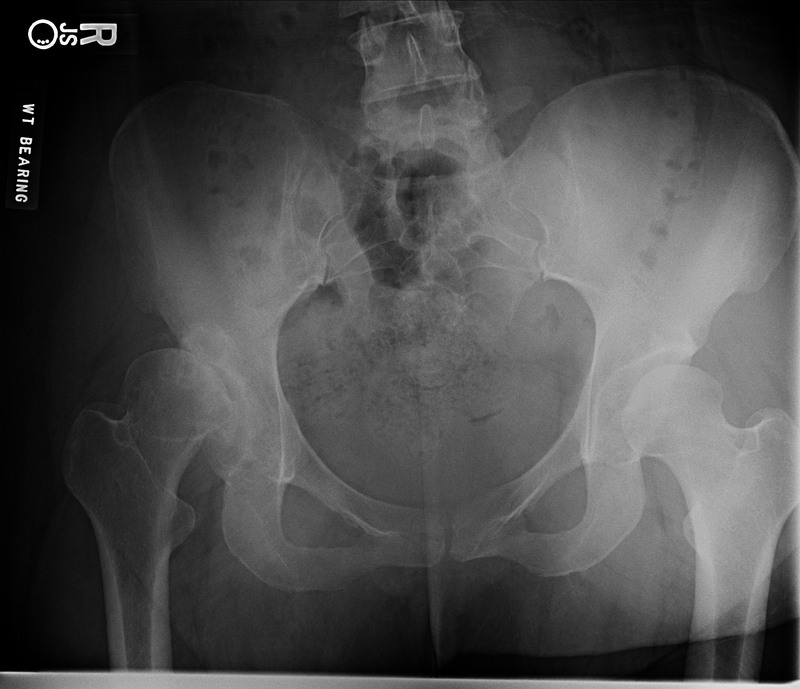 It was noticed in pt that I had something called foot drop on the same side as the Hip dysplasia and CP. It just means that my toes hit the floor first not my heal. I did try out what is called a Bioness L300. This is an electric stimulation unit that picks up my foot every time I take a step and allows my heel to strike the floor first. Oh my God do I love this thing. I am now a proud owner of Bioness. We also fixed the leg length with a heel lift in my shoe. Close to even but not just yet. The best thing but all of this that by March the pain had decreased greatly. I was able to tie my shoe on my own for the first time in a year. The day I did that was the best day ever. Joe decided that I was good to give it a shot on my own. Thanks Joe for the support and helping me be me again. He told me not to be a stranger and I wouldn’t be. For the next 4 months I worked out 3 times a week and worked as much as I could. I love teaching and loved it even more with less pain. The Bioness was evening making it easier to keep up with the little kidos. They loved learning about the Bioness and thought that it was very cool. There was a good thing thanks to all this extra activity. I was loosing weight by June I had lost 20 pounds. I was even walking laps and climbing the stairs again that’s how good I felt. Things were good and I was happy again. Thanks to all the hard work my right leg even felt stronger. The down side to all this activity was that the pain was coming back and was bad. My leg would just give way while I was walking. I would get sharp shooting pains that would make me want to cry and not move. It sucked again. I had done everything that people said would make it better and it was worse. Dang it. I finally threw the towel in when I was gardening one day and that was causing me to hurt. I was not sleeping well. I may say and my Mom will too, I have a very high pain tolerance, very high. So for me to be complaining means it is really bad. I called and made an appointment with Dr. Clarke. I was done. June 2012 is here. June 5 headed to see Dr. Clarke. I was all set to tell him that I wanted it fixed. The drive down gave me time to think. I can do this and it will make things better. Met with Dr. Clarke’s PA and she thought a cortisone shot would be better to try then the hip replacement at this time. I was game, but I was one up on her, Dr. Clarke in an email already told me that would not do anything. So she was going to talk to Dr. Clarke and see if he would do a cortisone shot. She also decided a new set of x-rays would be good. While after the x-rays lets say that I got to see both the PA and Dr. Clarke at the same time. Oh man. Dr. Clarke came in and asked me what I wanted him to do. Very shyly I said “fix it”. Simply enough he said OK. Wait he just said OK. Just like that. I was not ready for that. We talked for awhile about how important it was that I lose more weight. We also talked about how the joint would not last forever and would need to be replaced. He did say that my CP might complicate things a little. However he did tell me that he could make my legs even. After this discussion we decided that it was a good idea to replace my hip. He asked how long I could wait. I said I could make it through the rest of the summer and we made a deal I would try to lose 40 more pounds by the surgery. With all that settled we picked a date for my RTHR Sept. 14 2012. Just over 3 months away. With a goal in hand I was willing to do anything. It was also decided that I give pt another shot and if the pain got better I was to cancel surgery. Yeah if that happened it would be a miracle. After hearing that I was finally getting what I needed I didn’t know what to do. I was excited and scared at the same time. Holy cow I am really going to go through with this. I was ready. I can do this and I will show the world what I am made of. Over the next three months the emotional roller coaster was there. But I had learned how to deal with it. I used groups on Facebook to vent and share good news. I would talk to friends and I always had a shoulder to cry on. My mom was a great moral support during these months. Oh yeah I finally got to see the x-rays. They were bad. I am living with a half dislocated right hip. This is not a good thing, I can see why Dr. Clarke said yes. My bad hip is on the left. You can how it is half dislocated. Pretty gross. The rest of June flew by. School was over no longer teaching I could focus harder on losing weight. By the end of June I was down 30 pounds and only had 30 to make my goal.At the end of June I decided to start occupational therapy for my right arm and hand. Due to my CP my right arm is weaker then the left and works differently. I was also back into pt for my leg. Yeah I get to see Joe again. Let the fun times continue. So I was headed in every which direction this month. But everything was working out. July hit and I was working out three times a week. I was using the elliptical or treadmill, riding the bike, lifting weights and swimming. I was swimming almost everyday in my own pool. It felt great, the pool is best thing going for me. I have always loved to swim. There was a treat this month. I was going to teach Vacation Bible School. This is something I look forward to every summer. Let’s just say that it was great and not so great. I had the best time with the kids. However I was in the worst pain I had ever experienced. Even with pt I was dying. This is the moment where I knew I had made the right choice about the THR. I wanted to be able to enjoy this week, not dying in pain. The day I finished Vacation Bible School I left for a family vacation and finished PT for the second time. Bye Joe, hopefully see you after surgery. The family vacation was just what my body needed. It was a great break for my hip. I got to relax and swim as much as I wanted. Ended the month by losing a total of 37 pounds since January. August was here only one short month until my hip replacement. Still working out like a champ. The pain was bad. I was taking Tylenol like it was going out of style. However I think I gave myself the greatest gift I could have gotten. At the end of Aug. I went and visited my sister and her family in MN. It was a great break from everything that was going on. I had so much fun with them and it once again showed me that all my hard work had payed off. 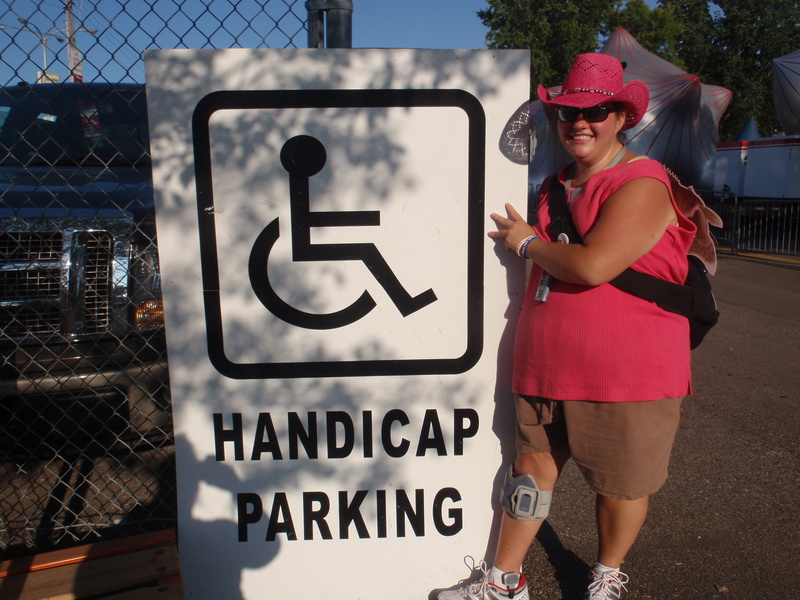 Thanks to the work and my new Bioness I was able to walk around the MN state fair for 7 hours. I was on my feet for seven hours it was amazing. I would have never been able to do that with out all that hard work. I did take Tylenol every 4 hours and ibuprofen every 6 hours, but I did it. It once again just showed me how important the hip replacement was. This was such a great time. Hated saying good bye to them but had to get back home. August ended with my pre-op appointment. Pre-op was simple. It was just an exam. Talked about what drugs I could and could not take before surgery. Learned all the fun things that I would need to do before the surgery. Like taking a disaffecting showers. Simple blood draw. While not simple on me they needed to use a pediatric needle. After all of that I started to get nervous only 2 weeks away from surgery. The days were counting done fast. We are now at the end of August. I will need this post here. The next one will be a short one hopefully. Then the one that you are all waiting for the THR. This is me after walking 7 hours at the MN sate fair. This journey of mine started in August 2011. I had been experiencing knee pain on my right side for about two years straight and on and off as a kid. As I was born with Cerebral Palsy I thought that this was just something that I was going to have to live with. When I finally had enough I went to my primary care doctor. My primary care doctor did a full work up on my knee. He said that he could not find anything wrong but ordered some x-rays. I was also started on a NSAID (Non steroidal anti-inflammatory drugs). We decided to give this about a month before taking in farther. I heard from my doctor after the x-rays were taken. Everything was fine with my knee. If I was still in pain we decided that it would be good to see an orthopedic specialist in 4 weeks. Now September 2011 is here. After giving the medicine a about four weeks to work. Things felt different. Less pain, however there was something new. It was not pain but more of a feeling. My knee felt like it was rubbing on itself. It was not a good feeling. So it was decided since I was still in pain and had this new symptom it was time to see that specialist. October 2011 and off to see the orthopedic specialist. I decided that I could handle going by myself to this appointment. The doctor did a full exam of my knee. Once again he found nothing wrong. Great. He decided to examine my hip. That was a shock to me because I had no real hip pain ever. After examining my hip he said it was a little stiff and would like to ordered some x-rays. After what felt like forever in comes the doctor with the x-rays. I just had a feeling that something was not right even before he explained anything. He showed me the x-rays and told me that I had something called hip dysplasia. First time ever hearing this at 27. He did explain that my hip joint was bone on bone. That meant that there was no cartilage left in the joint that’s a very bad thing. He also said that I had osteoarthritis from the bones rubbing together. He just told me many times that I needed surgery. It was decided that there was nothing else that he could do and was sent off to a pediatric orthopedic specialist. You might ask how I felt at that moment. I was scared and sad. I didn’t really know what hip dysplasia was. I am 27 how can something be so wrong with me. I was very mad at my self for not getting my knee looked at sooner. Since I knew nothing I headed home and told my parents what the doctor had told me and started doing research on the internet to get ready for the next appointment. Thank goodness for the internet. Oh yeah I learned a great lesson that day. Always take someone with you to a doctors appointment. I wish I had. After doing a ton of research I felt ready to go on to the next specialist. I had learned that there were really two choice to help with the hip dysplasia. A Periacetabular Osteotomy (PAO), that is where the cut your hip joint and position it in the right place and screw it back together. The other choice is a total hip replacement (THR), where they remove your hip joint and it is replaced with a new one that can be made of different materials. Later in October I was off to see the pediatric orthopedic specialist. I had learned my lesson and took my Mom with me this time. This doctor came in after looking at my x-rays and said that there was nothing he could do. He explained that there was to much damage done already. The only thing that could be done was a THR. Dang it. Since there was nothing he could do it was decided to send me to my third orthopedic specialist that did hip replacements. Hearing that I needed a hip replacement at 27 was very sad and scary.I took this news very hard. I felt awful, I was depressed and didn’t know what else could go wrong. Headed home once a gain and did all the research that I could on THR on young adults. I found Happy Hips, this is a support group for teens and young adults with hip dysplasia. I also found a support group on Facebook. I learned everything I could before I went to this next appointment. I even learned about something called resurfacing. More about that later. November 2011 finally arrived off to see the third orthopedic specialist. I had actually met this doctor before. He is a nice guy. He explained to me and my Mom that I did definitely needed a hip replacement. He said that he could do it but had never really done one on someone my age. After talking to him for awhile I felt a little better about the hip replacement. There was concern brought up at this point about my Cerebral Palsy (CP) being on the same side. Let me explain the CP a little. It is something that I was born with after being born 3 months premature. It has left the muscles on the right side of my body weaker then the ones on the left. That is all. So we talked about how a cane would help with the limp and rock that I had because of the CP. As I had done my research I asked if he knew any doctors in the area that did resurfacing. He said he did. We thanked him for his time and he refereed me to my fourth orthopedic specialist. I will say that it was my choice not to have this doctor do the surgery because he had never done it on anyone my age. He would have done it if I let him. I was not comfortable that he had never done it on anyone my age. I did get the cane and learned how to use it. As the months went on I got pretty good using it and used it when I needed it. Welcome December 2011. Off to see the resurfacing doctor. First to explain hip resurfacing is different then a THR. Resurfacing is where the doctor shaves down the ball part of the joint and places a metal cap on it. He then reshapes the cup part of the joint and places a metal liner in it. So resurfacing is considered a metal on metal replacement. So off to see this doctor. He did explain that I was not a good candidate for hip resurfacing. This was because I am a women that wants to have children. Metal on metal replacement can run some risks to fetuses so doctors do not like to put them in women. So once again back to the hip replacement. This doctor said yes that I needed one. However he wanted me to loss 100 pounds before he would do it. He even wanted me to have a weight loss surgery. Yeah that was not happening. There was already enough going on in my life. I didn’t really like this doctor so I didn’t want him to do the replacement. Back home again. Now I had no one to do the hip replacement and didn’t know if I could have one done. Well I hit the internet once again. I was looking for doctors in my area that had done hip replacements on young adults. I keep running up short. I finally expanded my search to close by cities and found one. His name is Dr. Michael Clarke. After a few emails it was decided that he would see me. January 2012 is finally here. I had my 28 Birthday. I also had started physical therapy. More about that in the next post. Finally time to see Dr. Clarke. This is end of the start of my journey. I will write the next post on the meeting with Dr. Clarke and the second part of the journey as this post has gotten a little long. Read the next post because the journey continues. This is my journey with Hip Dysplasia. It has been an interesting one at that. Hope you found this to be helpful.